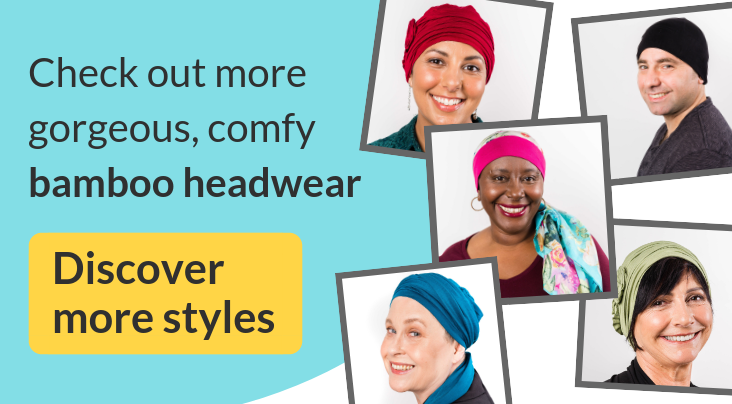 Just because you're going through hair loss, doesn't mean you've lost your personality - so we've created our own exclusive range of gorgeous, practical chemo headwear to help you feel confident and comfortable during and after treatment. Made from super-soft, natural fabric, our bamboo cancer hats are the perfect alternative to the itchy scalp and overheating that you might experience when wearing wigs. With naturally antibacterial properties and an incredibly soft texture, bamboo is our top recommended fabric for sensitive skin and scalp.